The Mindflayer Kaahrj loot table listed here is incorrect; it is just a duplicate of the Millificent Manastorm loot table. 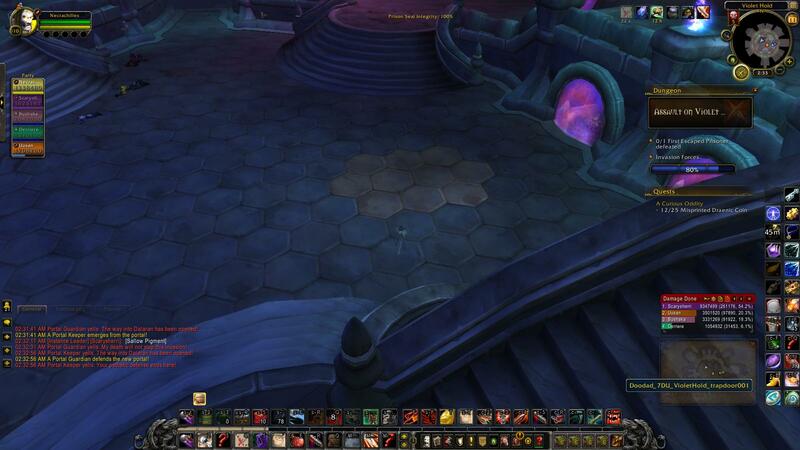 So anyone know what's up with the trapdoor in Violet Hold? You can see under the floor is clearly a cave/path with maybe a box? Not sure if other people are seeing this happen but multiple times last night there was no bite bar that showed up on (Mythic) Blood-Princess Thal'ena. Made the fight a little more difficult. It did show up for all players after a few wipes and reentering the dungeon but not during the actual boss fight.